Justine and Jessica checking out tomatoes. 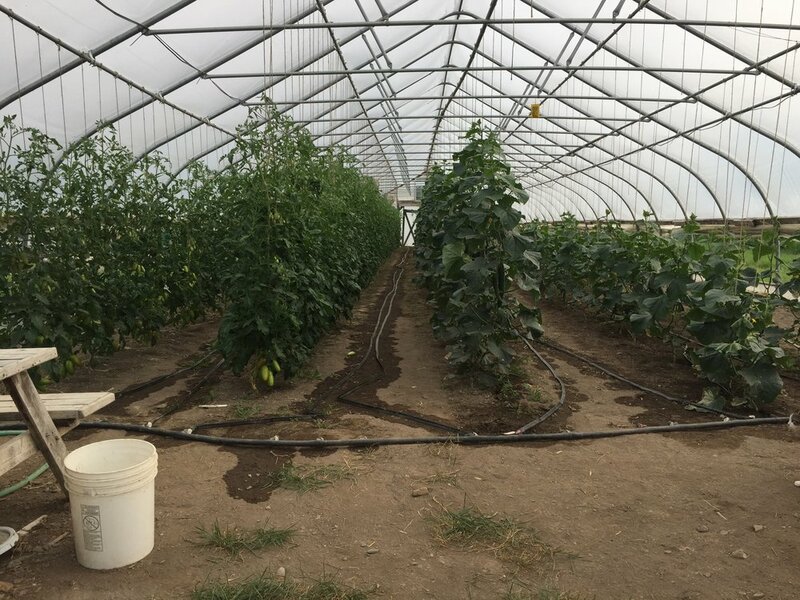 Just 15 minutes away in Schaghticoke, NY, Denison Farm is a family farm fully committed to organic and sustainable practices. Denison is a fellow vendor at the Troy Waterfront Farmers Market and a regular source for carrots, beets, sweet potatoes, celeriac root, and greens. They also have an amazing CSA program that makes it easy (and delicious) to keep fresh local seasonal produce stocked up in your fridge. Fresh Picked Granny Smith apples make some amazing juice. Another fellow vendor at the Troy Market, Little River Farm prides themselves on their outstanding crop of responsibly farmed apples, pears, and peaches. Low spray and incredibly juicy, we get as much of our apples from Little River as we can. Seth Jacobs, Martha Johnson and crew grow and market NOFA-NY Certified organic produce grown in the fertile upland (hills) of beautiful Washington County, NY. 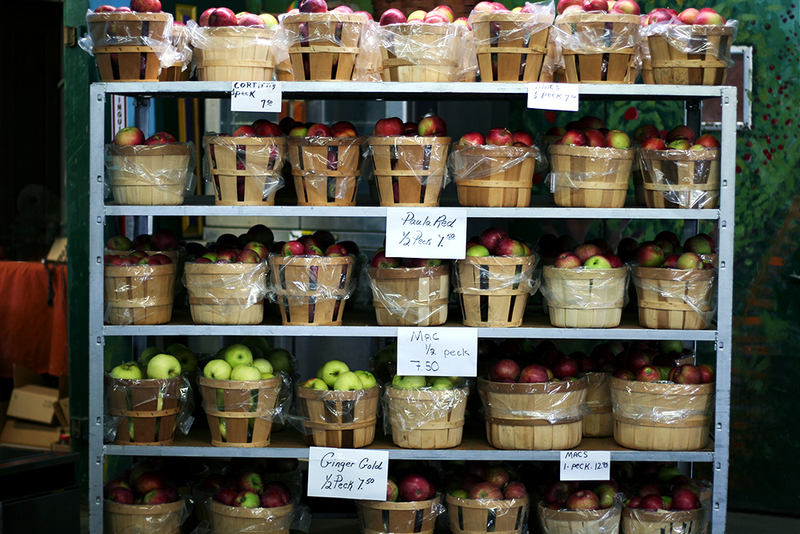 Saratoga Apple is family owned and operated orchard and farm market. The Darrows have been growing apples for 5 generations using low-spray techniques and micronutrient fertilization, including sea minerals and rock dusts.